Free shipping. Buy direct from HP. See customer reviews and comparisons for the HP Premium Inkjet Matte Presentation Paper 120 gsm-100 sht/Letter/8.5 x 11 in. Upgrades and savings on select products. A professional-grade paper with a premium matte finish on both sides for vibrant colors and sharp text. 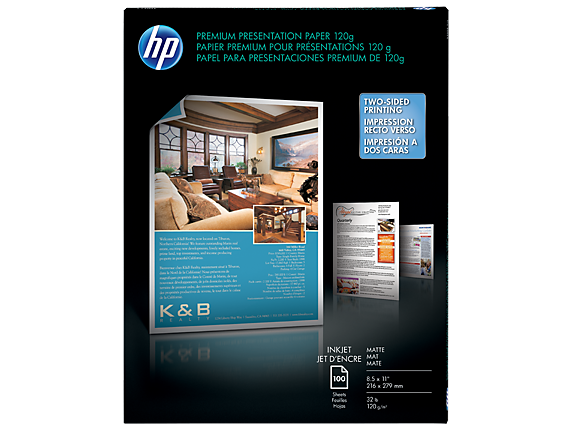 HP Presentation Paper is HP's preferred paper for presentations and other important business documents.